Dear guest, we would like to give you some useful information and suggestions for visiting some sites in Campania, to make your stay here more enjoyable, taking full advantage of all the services we offer along with the nearby surroundings. We would also like to take the opportunity to inform you about some of the regulations of our farm stay. The Masseria (farm) which you have chosen for your holiday is the centre of the old “Murelle estate”, now known as La Morella. Dating back to the second half of the 16th century, it was once a small agricultural village with a self sufficient community made up of land-owners, farmers and farm-hands. The Morella is now a complex reality which tries to integrate the best aspects of intensive, highly specialised agriculture with small production destined to direct consumption and sale along with a high quality restaurant and welcoming environment for all the guests who stay here. A fundamental concept of our approach is the respect to both the natural environment as well as the architectural patrimony passed down by the previous generations. This respect is based on the adoption of organic agriculture, the most advanced phytodepuration techniques for the disposal of waste-waters and architectural interventions aimed at conserving the “spirit of the location”. This is all achieved with the perspective of new technologies and in particular with low environmental impact, not only photovoltaic but also computerised, including wireless internet access for all our guests, covering the whole farm. A – This is the farm pigeon-coop as well as its symbol. It was once populated by numerous colonies of pigeons, however it is now closed off to birds for hygiene reasons. There is now a room called the “Colombaia” under the historical pigeon-coop. B – Apartments Pesca and Albicocca can be found in the building under the pigeon-coop. C – This building is known as the “caselle”. Once home to the families of the farm-hands, it now houses apartments n. 4 Pera (Pear) and 5 Uva (Grapes) as well as the rooms Fico D’India (Prickly Pear), Limone (Lemon) and Melograno (Pomegranate). Every rooms has its own private garden and faces out onto an old citrus orchard which has now been transformed into a park. Part of the photovoltaic system which produces electricity for the farm can be found on the covering of the terrace. D – The restaurant of the farm. E – Known as the “bufalare” (buffalo stalls) or “gualanerie” (granaries). They are architecturally historical buildings, typical of the Sele Plains with only 5-6 examples still remaining. The “bufalare” were once “cheese-making factories” where buffalo milk was worked into mozzarella, provola and seasoned cheeses. F – Old barns and granaries, they are now used to store farming equipment. On the south side (not visible in the photograph) the roof is covered with photovoltaic panels, carefully integrated with the existing structure. G – The owners’ residence. H – This building is partially being renovated, making several new suites, and is partially inhabited by the keepers. L – Old threshing floors, used in the past to work grain, separating the seeds from the straw. M – Swimming pool, surrounded by a beautiful green park full of trees. N – Even though it can not be seen in the photograph, behind the pigeon coop, there is the bell-tower of the old chapel which is now deconsecrated. O – Behind this doorway, there is the new wine-cellar of La Morella. The impressive old wine-cellar which is near the farm offices no longer complies with current hygiene regulations, with it therefore being opened only on special occasions. P – Old farm wells. One can be found in the main courtyard. While the other is in the gardens of the “caselle”. It can not be seen in the photograph but an arrow indicates where it can be found. R – Future children’s playground, currently being used as a football pitch. S – One of the farm’s vineyards, where the aglianico vine is cultivated at Guyot. U – The arrows lead to one of the greenhouses of La Morella, where organic rocket is grown. The restaurant of La Morella farm stay represents one of the most direct ways in which our guests can come into contact with the farm and the surrounding territory through our products and local delicacies. Our cuisine is an “earth” cuisine, with a predominantly farmer characteristic as well as being strongly linked to the traditions of Campania cuisine. The abundant starters and side-dishes are all made with either fresh or preserved organic products from our own vegetable gardens, ranging from the wide variety of legumes to the organic rocket as well as the various different types of lettuce for salads. There is also extra-virgin olive oil, dried tomatoes preserved in olive oil as well as the various types of vegetables. There is also marmalade made from limoncello. Fresh pasta is made in our kitchens, while any other products used are supplied by local producers. The local products include buffalo mozzarella cheese which is the most representative local delicacy of our territory. Wine is without a doubt is one of the specialities of the house. From the vineyards and wine-cellar of La Morella, we produce an aglianico, strong but highly perfumed, which is matured in oak casks. Our “Ascolto” is accompanied by a wide variety of wines produced by local producers, some of which are firmly established while others are emerging. There is also an excellent local wine. La Morella farm stay is entirely dedicated to the cultivation of organic products in both greenhouses as well as open fields, with the BIO certification having been awarded by the ICEA. The greenhouses, covering approx. 50,000 m2, are used to cultivate rocket, spinach as well as red-leaf beets. These are destined for the shelves of supermarkets in the United Kingdom. vines, with most of them having been recently replanted, producing an excellent aglianico grape, a vine par excellence typical of the southern regions of the peninsular. The aglianico is then transformed into wine and matured in French oak casks in our wine-cellars. 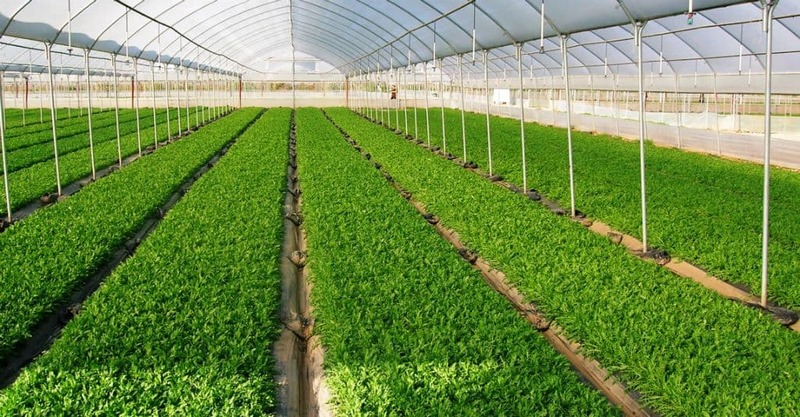 aromatic herbs, with small branches being periodically cut and sold, to be used as either a fresh vacuum packed product or dried herbs as well as cuttings for nurseries. Fodder cultivation, corn and medical herbs. The marriage between the agricultural and tourist products is a measure of the quality and seriousness of the activity carried out at the holiday farm. the wine “Ascolto”, which is gradually gaining a notable reputation not only with the farm’s guests. Wine, limoncello, marmalades and jams, tomatoes preserved in olive oil as well as other vegetables, fresh and dried herbs, as well as fresh vegetables can be purchased from the farm offices, according to the season and availability. Whoever maybe interested in purchasing any of our products should notify us at least one day prior to their departure. Guests are kindly requested to pay their bills by 6.30pm the day prior to their departure. Check-in and check-out: check-in is between 12.00pm – 1.00pm and 4.00pm – 7.00pm. Guests should telephone if they are going to arrive at any other time. Guests can not check-in after 10.00pm. Guests should leave their room by 10.00am on the day of departure. Guests wishing to extend their stay should check for room availability at least one day prior to their departure. Rooms and apartments: all the rooms have a bathroom with either a bath or shower, air conditioning and a TV. All the apartments have a kitchen, a bathroom with either a bath or shower as well as air-conditioning and a TV. Cleaning: The rooms are cleaned daily and the bathroom towels changed whereas they are changed once a week in the apartments (only Wednesday). the protecting of the environment with a careful use of electricity, water and detergents, in particular when using and changing towels. Restaurant: Breakfast is served between 8.00am and 10.00am. Dinner is served at 8.00pm. Every morning guests are given a copy of the evening menu. Guests who either have a half-board booking or want to have dinner in our restaurant should hand in a copy of the menu indicating their choices. Bed&breakfast guests wishing to have dinner in the restaurant should book in the morning. Laundry service: There is also a laundry service available. Each wash costs €4.00. Please contact the main office for further details. Hospital and First-aid: the hospital S. Maria della Speranza (tel 0828.674111) is on the same exit of the roundabout as the motorway exit to Battipaglia. The nearest first-aid station (night and holiday service) is in Bellizzi next to the town hall in Via Roma 199 (Tel. 0828/358021). The main office should be contacted if there are any problems. Problems and emergencies out of office hours: For any problems or emergencies out of office hours, guests should use the interphone of Mr Stabile situated on the stairs in front of the main office door or by phoning one of the following numbers: 00393387159958, 00393939447177. Supermarkets: there are numerous supermarkets in Bellizzi, we suggest the supermarket “eté”. The “eté” supermarket is also open Sunday morning. There is also a new “Carrefour” shopping centre in Pontecagnano. It can be reached by taking the sate highway from the centre of Bellizzi, heading towards Pontecagnano and following the road signs. Chemist: the nearest chemist is at the crossroads in the centre of Bellizzi (tel. 0828/355949). There is another one on the state highway between Bellizzi and Battipaglia, about 1400 metres from the crossroads to Bellizzi. Newsagent’s: there is one near the centre of Bellizzi, heading towards Pontecagnano, and another in S. Lucia. Post office: There is one in Bellizzi in Via Manin, 34 (tel. 0828.51091). As one of the central aspects of our hospitality, we try to always give our guests as much assistance as possible when organizing their days in Campania. Maps, itineraries, guides, brochures as well as the timetables of the boats from Salerno (to Amalfi, Positano and Capri) and the trains from Battipaglia (especially when visiting Naples) can all be found in the main office. 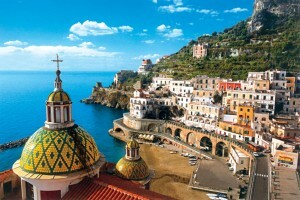 Pompei, and the Amalfi Coast, there are numerous other possible excursions. We suggest some in the following paragraphs starting with nature itineraries, followed by cultural ones and then ones for pure amusement. The Cilento coast: The Cilento, with its National Park (Parco Naturale del Cilento e Vallo di Diano, tel. +39 0974 719911) is a vast, uncontaminated environment with the first major beach, Trentova, being about a 40 minute drive away (SS18, exit Agropoli sud). Unfortunately, it is always over-crowded during the summer. A slightly longer trip along the coast leads to the splendid peninsula of Castellabate (SS18, exit Agropoli sud), with the beaches of San Marco, Punta Licosa and Acciaroli as well as the historical centres of Castellabate and Santa Maria di Castellabate. An alternative itinerary heads south along SS18 towards the beaches of Palinuro and Marina di Camerata. Capri: it can be reached by taking a boat from either the port in Salerno (molo Manfredi) as well as Naples and Sorrento. A copy of the boat departure times can found in the main office. However, it is also worth phoning to check ticket availability: 089 227979, 089 237063. Amalfi, Positano: via sea: as an alternative way of visiting the Amalfi Coast, we suggest taking either a boat or hydrofoil. It is particularly advisable in high season due to the amount of traffic and limited parking. There are numerous boats for Amalfi and Positano (P.zza Concordia or molo Manfredi) from Salerno. A copy of the boat departure times can found in the main office. You can rent a boat without boat driving license (www.noleggiobarchesalerno.it), ask in the office. Vesuvius: a visit to the crater of Mt Vesuvius is a very special experience. Take the A3 Sa-Na, exit at Ercolano and follow the road signs. The car can be parked a 30 minute walk away from the crater. It can only be visited with a guide. Grottoes: There are two truly wonderful grottoes only an hour’s drive away. They are Pertosa and Castelcivita. Further information can be found in the main office. 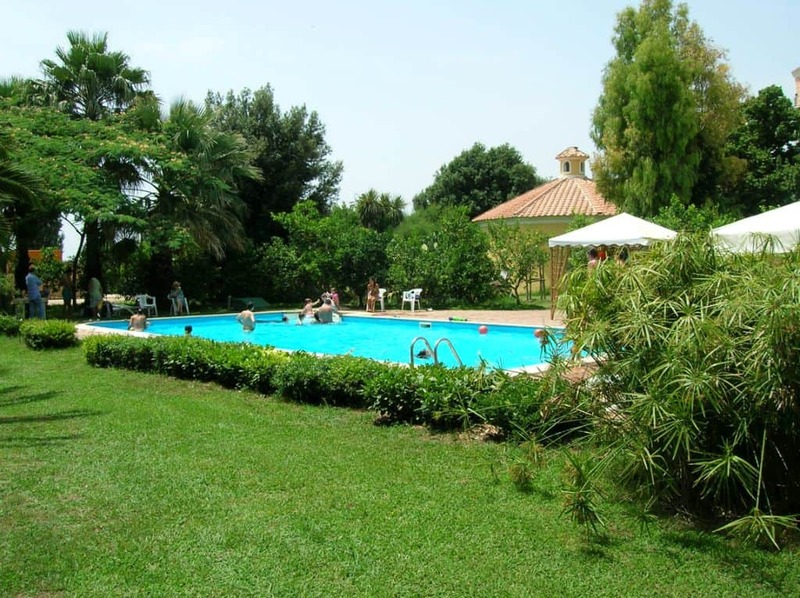 L’oasi di Persano is on an artificial basin which runs along the banks of the river Sele, covering approx. 110 hectares. The marshy environment of the artificial lake is characterised by reeds which are home to a wide variety animals and plant life. The oasis is open all year round on Wednesday, Saturday and Sunday. It is advisable to book a visit: 0828974684. L’Oasi delle Gole del Calore is near the town of Felitto. A long nature walk starts in the equipped part of the Oasis and follows the banks of the river Calore. L’oasi del Monte Polveracchio can be reached by passing through the graceful town of Campagna as well as the sanctuary of Avigliano. It covers 200 hectares, going from 1015 metres above sea-level up to 1790m at the summit of Mt Polveracchio. The mountainous landscape is simply breathtaking. However, the oasis is semi-deserted due to a landslide which has cut off the last part of the road (you can pass through…but at your own risk and peril) but the plant-life and views are extraordinary. There are guided visits every Sunday at 10.00am and 2.00pm. Bookings can made by phoning Lucio Calabrese on 339/8090441. Castrum Olibani. It is a Longobard castle which overlooks the Olevano landscape. 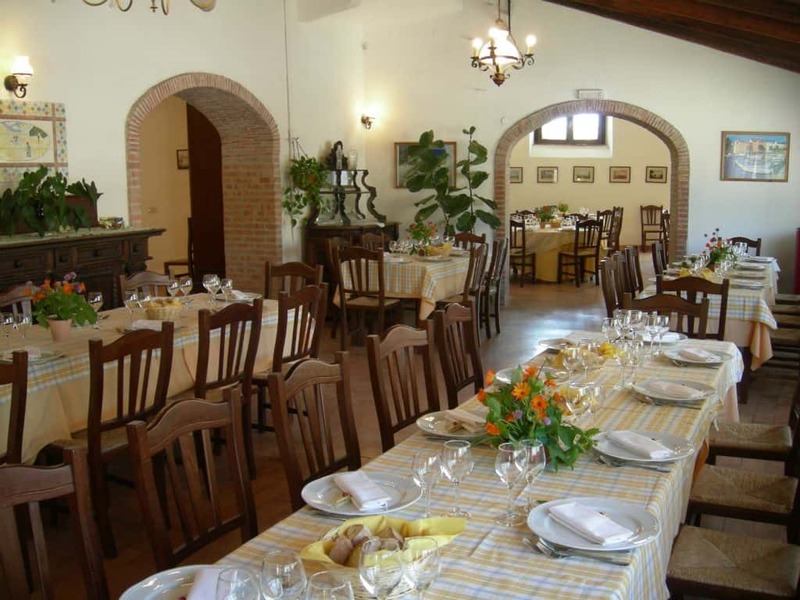 The place is extremely suggestive and panoramic, with it only being known to the inhabitants of Olevano. It takes an half drive plus a 15-20 minute walk to reach the castle. The last part of the road is unmade and becomes very difficult to travel along without an off-road vehicle. We have drawn up a small itinerary to make it easier to get to the castle, which can be obtained from the main office. In addition, there is the high valley of Tusciano, cool and covered in trees (another unmade road for off-road vehicles and courageous drivers!) as well as the interesting frescoed grottoes of S. Michele, which are difficult to visit. Mountain excursions. The area is full of high mountains ideal for excursions: the Picentini mountains, the Alburni mountains, the Gelbison–Cervati range as well as the mountains of the Amalfi coast. Reaching the summit often depends on the excursionists ability of orientation as well as determination, due to the sign-posts being very poor or non-existent. It is quite easy to reach the summit of Mt Raiamagra (via chair-lift from in Lago Laceno) as well as Mt Gelbison (due to the road which leads to the sanctuary at the top). We have special arrangements with a group of local guides who operate in the mountains of the Cilento. Further details can be obtained from the main office. 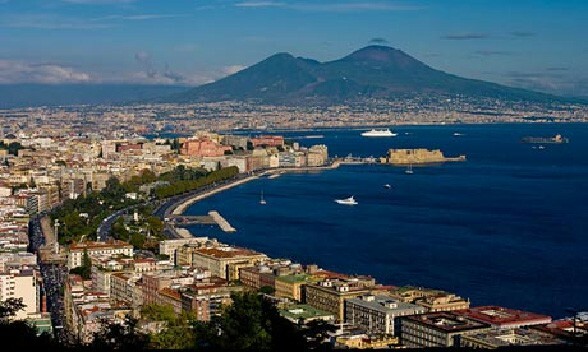 Naples: the city can not be simply described. It is a mine of history, art, culture and breath-taking views. However, there are also some degraded areas. It is best to take the train when going on a day-trip (about 1hr), using local public transport to move around the city. We have prepared several itineraries which can be obtained from the main office. We also suggest buying a guide-book. 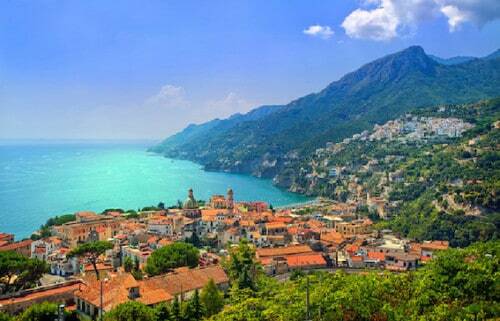 Salerno: (35 minutes to the city centre) A walk through the historical centre will allow you to fully appreciate one of the most beautiful cities of the whole Campania region. Maps of the city can be obtained from the main office. We suggest visiting both the Cathedral (11th century) with a labyrinth of streets surrounding it and the Minerva Garden, the oldest botanical garden in Europe. 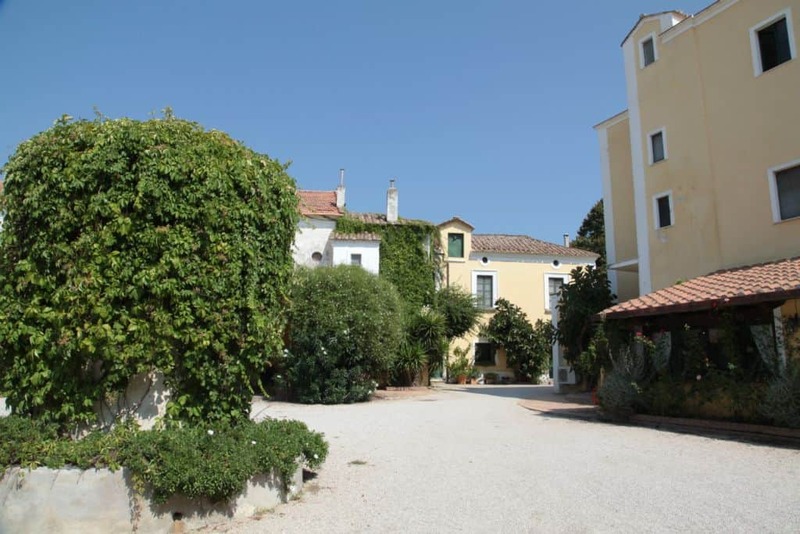 From the gardens you can then choose whether to continue walking towards the sea or along via dei Mercanti towards piazza Portanova and Corso Vittorio Emanuele to do some shopping. It is also worth visiting the Arechi Castle which overlooks Salerno and can be easily reached via the motorway without actually entering the city. The ruins of Ercolano (50 mins). The archaeological site of Ercolano is much smaller than that of Pompei but is no less impressive. We suggest combining a visit here with a trip up Mt Vesuvius. 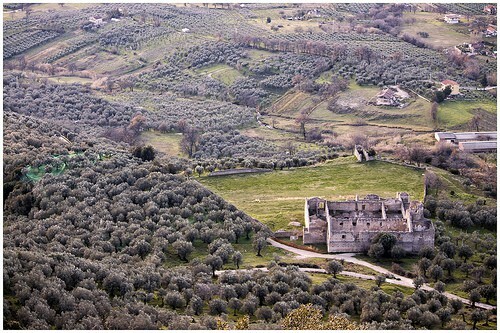 The Carthusian Monastery of Padula (1h). It is one of the most important monuments in Campania. It can be easily reached by taking the A3 motorway heading towards Reggio Calabria, taking the exit for Padula-Buonabitacolo. Campi Flegrei (1h30) The Flegrean fields (“fields of fire”) is a large volcanic area which covers north-west Naples. Take the motorway to Naples, then the by-pass heading towards Pozzuoli. It is full of points of archaeological and natural interest with the latter having been unfortunately polluted by dense urbanization. Among the numerous opportunities, there is the archaeological site at Cuma, the amphitheatre Flavio, the Solfatara and (by boat) the submersed ruins of the ancient Baia. The area is quite large and should be visited by car as well as following the indications set out in a guide book. The Royal Palace of Caserta (1h30). The Royal Palace was built in 1700 by Carlo di Borbone and designed by the architect Luigi Vanvitelli, with the specific aim of being bigger and more sumptuous than the Royal Palace of Versailles. The ruins of Velia: (1h) take the SS18 heading south, go past the previously mentioned motorway exit Agropoli sud and get off at Casalvelino. Swimming: La Morella has a special arrangement with the lido “Il Quadrifoglio”. Our guests can have free acces (till a maximum of 2 weekly access). If you do not like music on the beach, ask for the quieter places on the beach. We suggest avoiding the public beaches which are usually not very clean and unsupervised. Golf: The nearest range (driving range and three holes) is at the Hotel Quadrifoglio (tel. 0828203337). 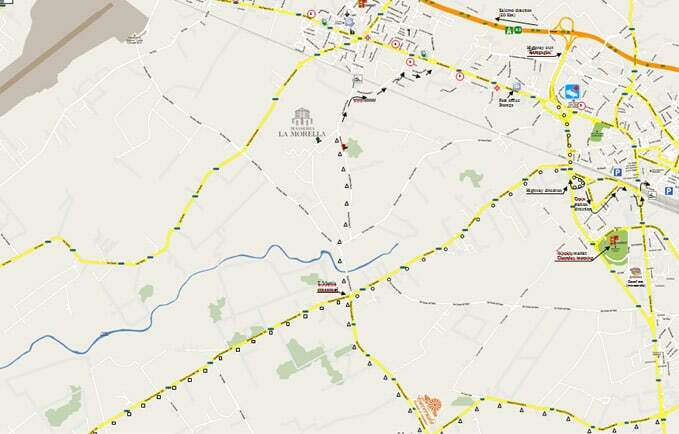 The hotel is near Lido Quadrifoglio and can be reached following the indications on the same map. Rosapepe spa: these are the nearest spa-baths. Take the A3 Sa-Rc heading south, get off at Contursi Terme. Follow the road “Fondo Valle Sede”, and take the turning for Olliveto Citra. Turn left at the crossroads and go straight on for about 1km (tel. 0828/995019). Go-Karting: Leaving the farm, turn right and enter the second gate on the left (about 500m)(“Kartodromo del Sele”). Horse-riding: There are numerous stables in the area. Ask in the main officer for further details. Amusement Parks: There are two water amusement parks in the area. The first is also a wellness centre, “AquaFarm” and indicated on the map. The other “Acquapark Isola Verde” is more suited for children. It is always on the coast road but in the opposite direction to the first, heading north. The SA-RC motorway. The quickest route is highlighted with and on this map. Upon leaving the farm, turn right and go straight until reaching the crossroads of S. Mattia, then turn left, go straight until reaching an overpass. Turn immediately right after the overpass and go straight on uphill until reaching SS18. Paestum Upon leaving the farm, turn right ( route on the map), go over the crossroads at S. Mattia, go to the left at the crossroads of the village of S. Lucia. After a 2,5 kilometres the road joins SS18, turn right and head south. Salerno Take the coastal road as an alternative route to the motorway (only if the motorway is close or busy) . Follow the and route on the map until reaching the coast. Turn right and go straight on, heading north-west.